what about a sea spider, with a fin instead of its abdomen? A sea spider is a cool monster to have in the game. Why not have a massive 3 headed dog? 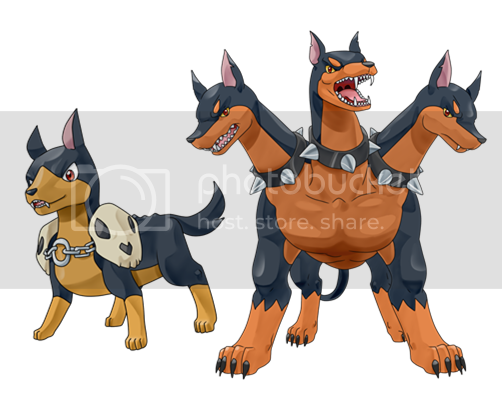 I agree that a (3 headed dog) or better known as a Core hound would be a interesting addition. Better yet a core hound with a dark attribute to it would be killer. The whole bottom post beneath should have been posted in the suggestions portion of the forum so that is my mistake forgive me! Another thing id like to make a suggestion about is unlike in Dragon Island Blue there isnt any so called boss monsters you can capture instead you make them, which is a cool and unique way of obtaining such a creature. On the other hand i think it would be pretty cool to have lets say a boss that spawns in X amount of time if you fail the first time unless the whole capture card system and so forth is completely redesigned im not 100% updated on the matter. Wow, did you just create that? You should try add some shackles possibly to the necks and or feet, just curious as to how it would come out. (Assuming these are fire creatures) I would also recommend having the middle head breath fire. I believe that they are more dark attribute rather then fire from looking at there features/colors. Another idea could be pure elemental monsters. My brainstorming lead me to a Bon/Slime mash up from Dragon Island forming some pure elemental monsters. The big picture i had was possibly to add them in a future patch and include the ability to fuse 2 together to create dual attribute elemental’s. 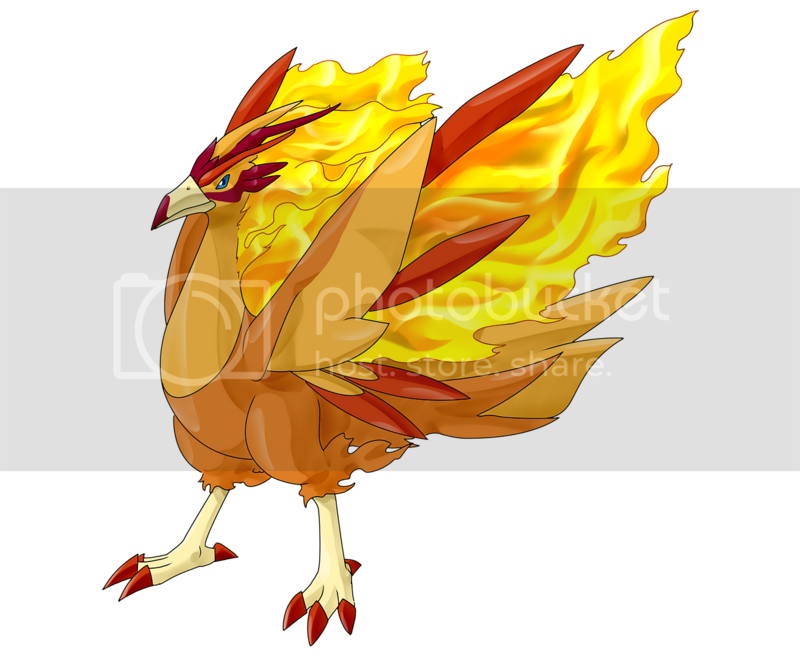 Another monster that would be interesting to see is a phoenix or even a bird that is semi colored like a phoenix. I attached some photos of some Phoenix/Bird things for help picturing it. I tried to provide pictures that more suit the look of monsters in the game but maybe a light fire aura of some kind would be cool. Also maybe the final form of the phoenix is a dark phoenix, so instead of red/yellow/orange it is more purple. Update- After browsing some of the photos put onto facebook i discovered a rather nice color+texture you could use for the birdy creation! we already have this guy. thats the third evolve tier of our firebird. I think that if you could make a ferocious/vicious looking wolf with similar skeletal characteristics it would be pretty awesome! Hopefully you guys have not made this yet but how about a worgen/werewolf. Throw some sharp claws/ black & blue fur/ very big wide opeing tale, if you could make it a fusion monster with like a ninja creature so you could throw on some shoulder pads and other armor on it. If you are taking the fusion route you could even throw in a long maybe red samurai sword with it? Oh do you guys have a raptor monster? With the hook claw on the foot like a Velociraptor?